The official Game & Wildlife Conservation Trust blog - bringing you exclusive content and all the latest news. The next GWCT Young Shooter’s day will be held during half term week near Newmarket on the 29th October. 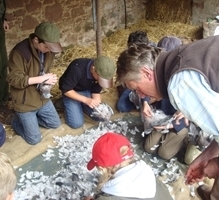 This course proves very popular, and is a great way of introducing youngsters to shooting whilst also giving them a good understanding of conservation and game management in the modern countryside. 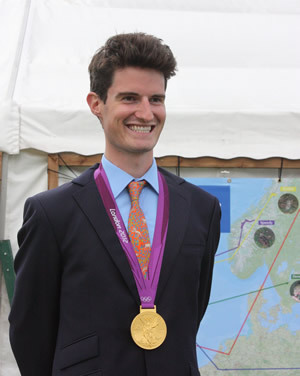 In fact, Olympic gold medallist Peter Wilson first discovered his talent for clay shooting on this very course! Peter said “I was just 14 and entered a small competition during the young shots day, which aimed to introduce youngsters to all that’s involved in running a day’s game shooting. I had not shot clays before and I won. I loved the competitive part, especially winning and since then I have not looked back”. The emphasis is very much on outdoor activities, and as well as shooting, the day gives an insight into the biology and conservation of our most valued game and wildlife species. Students do not need any specialist equipment but need to come prepared with outdoor clothing and sturdy foot wear. The course is open to all boys and girls aged between 12 and 15 years. The course is very kindly supported by the Norman Clark Memorial Fund, Norman was an immensely popular shooting instructor at Holland & Holland. Tickets are £48 inc VAT and this covers shooting tuition, gun hire, safety equipment, cartridges, clays and lunch. You can book your place online or by calling on Lynda Ferguson: 01425 651013. Time for a gritting holiday? Is it time to ban heather burning? Copyright Game & Wildlife Conservation Trust 2013. Picture Window theme. Powered by Blogger.